This quarterly publication is open to all, who are interested in general changes in society, be it in the area of construction (alternative construction, climate friendly construction) or education or economy. Project ideas can be introduced and existing projects, examples of appropriate technology etc. described. 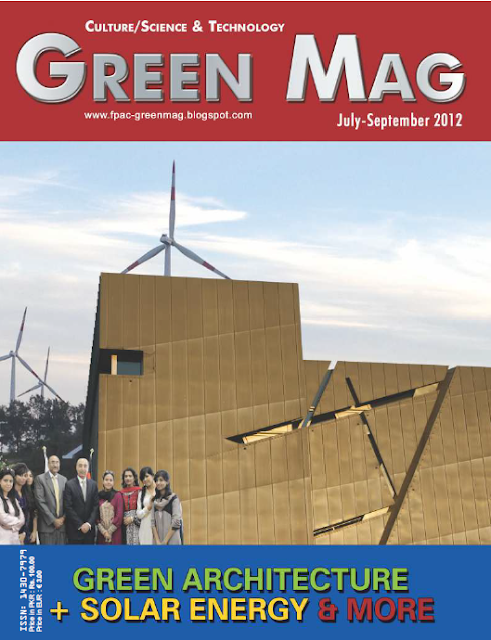 Interested persons send their articles to the BLOG, from which interesting articles are then selected for the Green Mag editions. They appear as pdf as well as printed versions. Journalism Conference 2013 scheduled from 7th to 8th February, 2013 at the Pearl Continental Hotel in Lahore. The Conference is being organized by the Foundation for Promotion of Academic Collaboration in partnership with the Government of the Punjab and a number of foreign and local organizations.